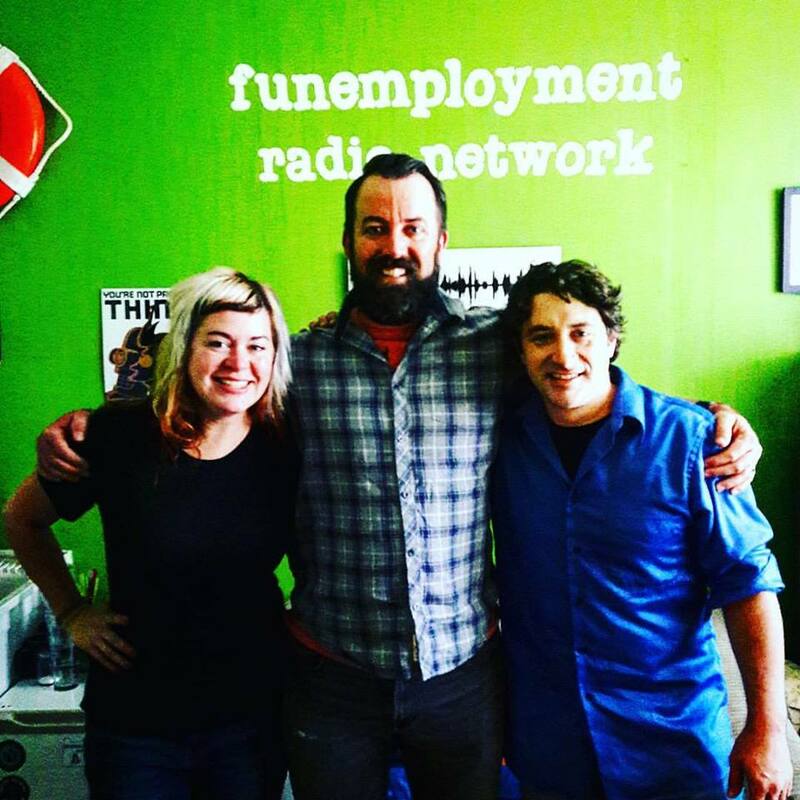 Greg Nibler and Sarah X Dylan have hosted the podcast the daily comedy podcast "Funemployment Radio" since November of 2009, which they created after losing heir commercial radio jobs due to a format flip. 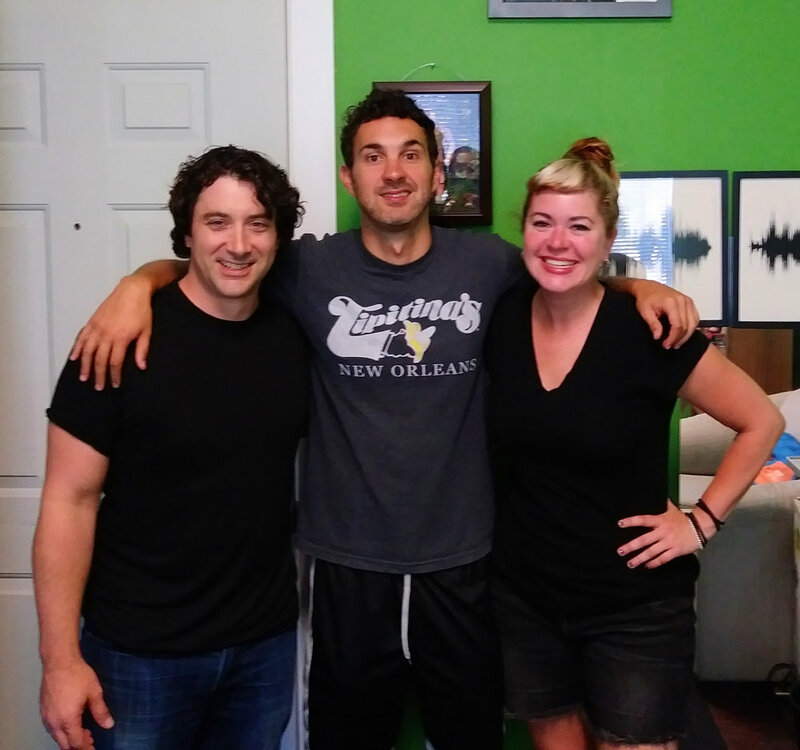 Five days later they created the podcast in the spare room of Greg's house, and since then, they have moved to bigger and better accommodations - their own studio (and fancy green room!) 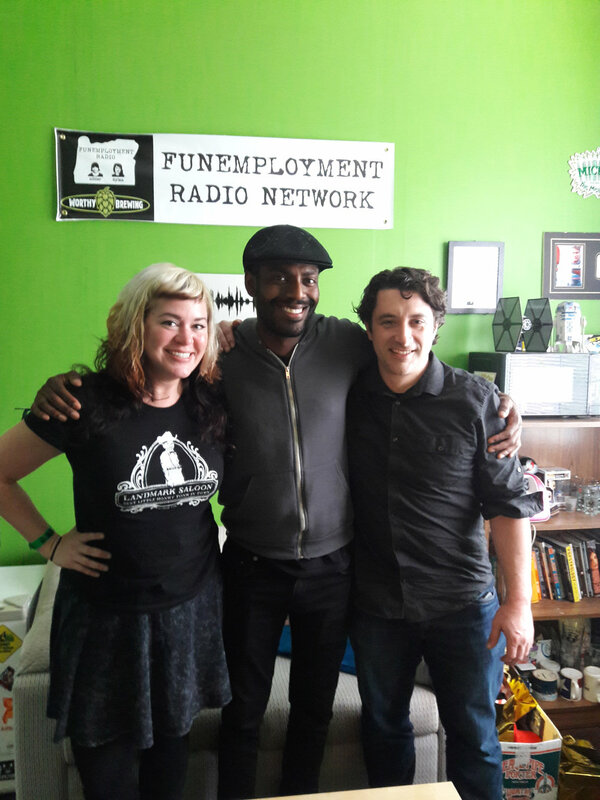 in SE Portland, along with a full network of unique podcast programming. Almost NINE years later they are still loving what they do, and are excited about podcasting finally being recognized as the incredible medium it is. 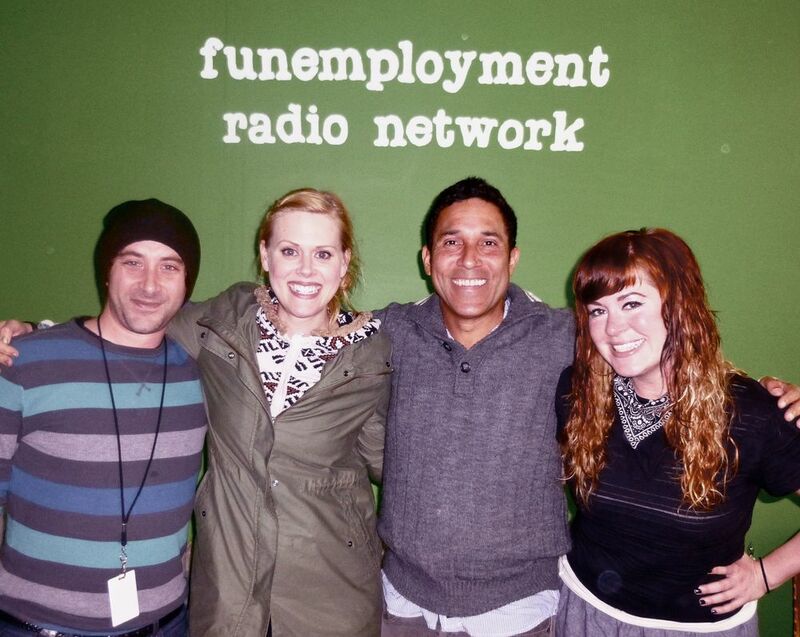 Featuring stories of their lives and their many celebrity guests, Funemployment Radio strives to provide intelligent conversations about ridiculous conversations and allow the listener an hour to take a break from the problems of the world. 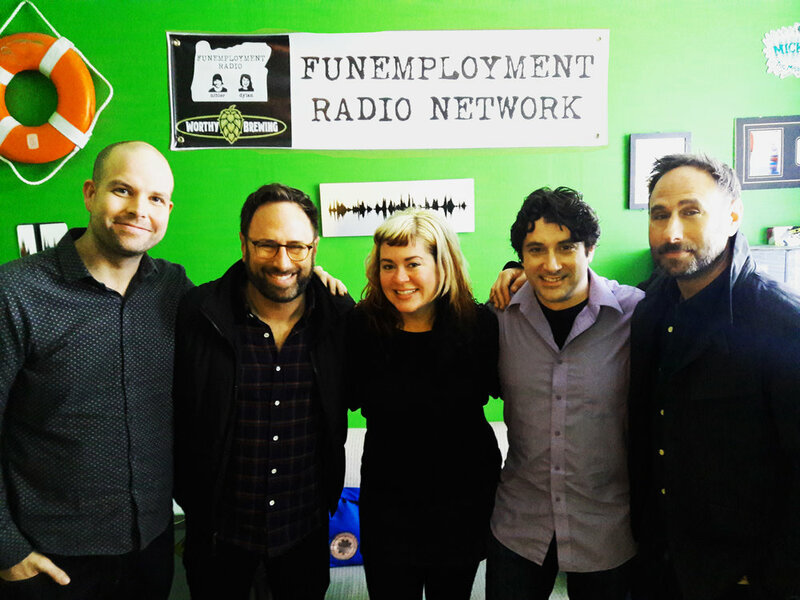 Funemployment Radio has become a staple of the Portland metro area and moved far beyond, with active listeners in over 120 countries. 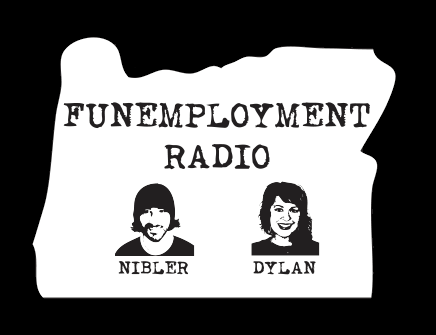 Funemployment Radio has won the title of Wilamette Week's Best of Portland Readers Poll for "Best Local Podcast" for the past two years (2016 & 2017). Past guests have included: Amy Schumer, Liz Winstead, Rhys Darby, Dave Attell, Bert Kreischer, Wendy Liebman, Paul Reiser, Harland Williams, Aisha Tyler, Michael Ian Black, Hannibal Buress, Tom Green, Bill Oakley, The Sklar Brothers, Oscar Nunez, Anthony Jeselnik, Nathan Brannon, Mark Curry, Scott Thompson, Kevin McDonald, David Koechner, Meat Loaf, Jon Dore, Steve Byrne, Roy Wood Jr., Maria Bamford, Reggie Watts, Dom Irrera, Orny Adams, Neal Brennan, Brent Weinbach, Arj Barker, Paul Mooney, Kyle Kinane, Bobby Lee, Dov Davidoff, Bruce Bruce, Andy Kindler, Gary Gulman, Dana Gould, Aries Spears, John Mulaney, Tig Notaro, Ron Funches, Marc Maron, Baron Vaughn, Ben Bailey, Greg Behrendt, Hal Sparks, Nick Kroll, Bill Plympton, Hari Kondabolu, Dan Cummins, Nick Thune, Matt Braunger, Christian Finnegan, Greg Proops, Todd Glass and more!